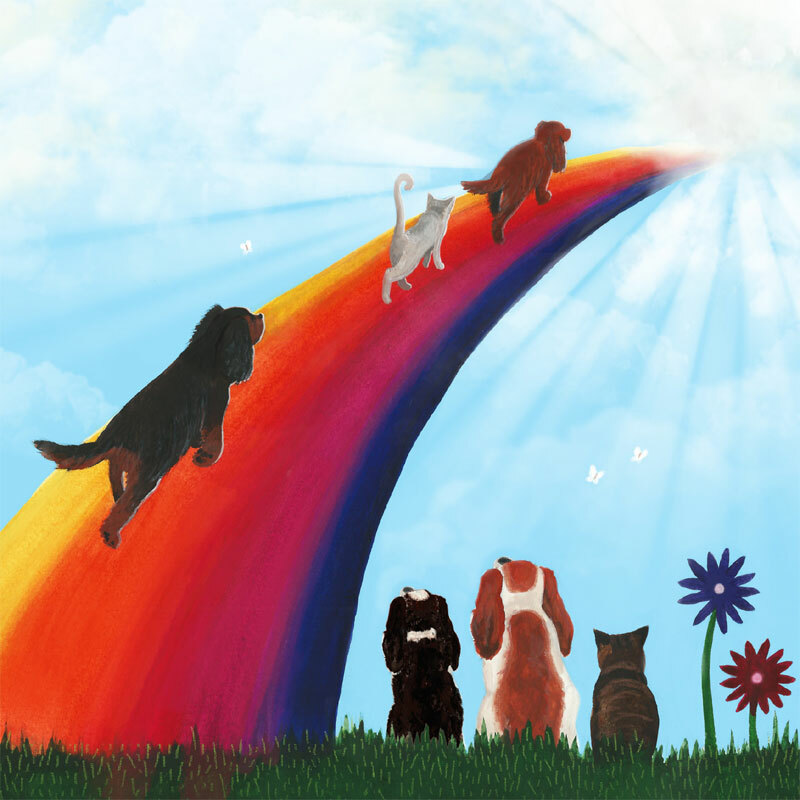 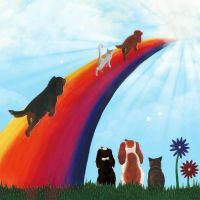 Our exclusive design rainbow bridge Cavalier condolence card is a serene way to express your sympathy for the loss of a loved one. There is a single heart design inside and space to write your own personal message. The card measures 148mm x 148mm.